There is so much locum work available and many ways of working. 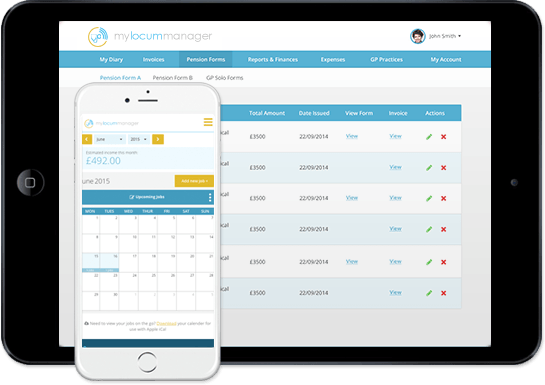 Whichever you choose, MyLocumManager can help. What ways of working are there? To find a list of your local practices, look at NHS Choices. You can even drop in and look at them beforehand. Finding work directly like this is a great way of establishing relationships in practices that you want to work in. It can be daunting at first, but you will soon notice how you start getting regular bookings and building your own group of preferred practices where you are not competing with other locums, all whilst working on your own terms. This can be a good way of finding work quickly while you are building your independent practice list. However, bear in mind that you can't contribute to your pension with most agencies and you will be working to the agencies terms and conditions. Ensure you are aware of their cancellation policies. If you are working through a third party, you are still responsible for chasing payment - the agencies do not take responsibility for this even if the work is booked through them. Practices pay a fee to post jobs, so most GP practices prefer to work directly with independent locums. These sites often have the same group of practices that have a high staff turnover and need for locum cover. Register with multiple agencies to ensure you have enough of a work supply. A locum chambers consists of small groups of locum GPs that arrange work with groups of local practices. They offer a peer support structure and you can contribute to your pension working this way. However, a fee is deducted from your earnings, which may not appeal to everyone.